With new photogrammetric software being released on a seemingly consistent basis, a number of software solutions exist for digital photogrammetry. Some are designed exclusively for aerial/orbital or close-range imagery while others are more flexible. 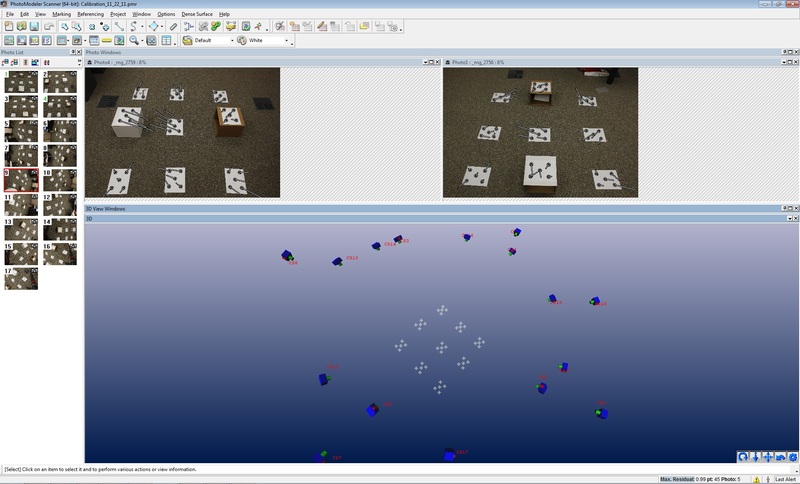 Photogrammetric software used at CAST includes, among others, ERDAS Imagine LPS, Agisoft PhotoScan and PhotoScan Pro, and EOS Systems PhotoModeler and PhotoModeler Scanner. 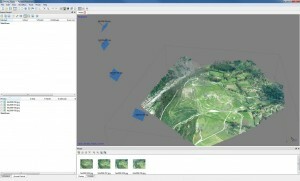 A relatively new software package made by the Russian company Agisoft, this software is geared toward semi-automatic processing close-range or aerial photogrammetric projects with the end goal of creating a 3D mesh, DEM, or orthophoto. PhotoScan can handle a wide range of digital images, including point-and-shoot, DSLR, or historic aerial photos that have been scanned. 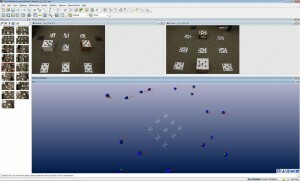 PhotoModeler is a well established, widely used program for close-range photogrammetry. Among other things, built in tools allow users to generate detailed camera/lens calibration reports, triangulate image blocks using manually or automatically measured tie points, manually digitize and texture 3D features, and export 3D CAD-type models. LPS is another well established, widely used photogrammetric mapping package, but is primarily geared toward processing aerial and satellite imagery to create GIS data. 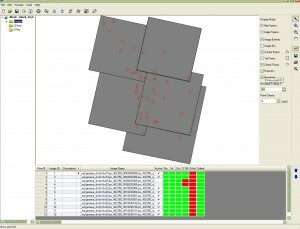 LPS mapping projects can fully process remotely sensed imagery with either rigorous sensor models or vendors supplied RPC files, and the majority of commercially available aerial and satellite sensors are supported. Potential end projects from LPS include, among others, 3D (vector) features, digital terrain models, and fully orthorectified mosaic images.